Status: Partially identified! Sam Esterson is the camper in the back row, third from right (next to a counselor). 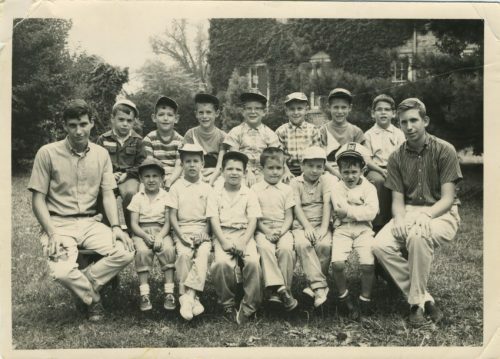 Do you recognize any of the other campers and counselors at this Bais Yaakov Day Camp, c. 1955?